The GATEWAY to Trade programme has been developed through the application of over 25 years' experience in working on trade in services initiatives in over 50 countries around the world. ​It is unique, in that it is the only comprehensive export-preparedness programme targeted at service sector SMEs available. The GATEWAY to Trade programme is customizable. Programme elements can be added according to the needs of the clients. Additionally the programme can be tailored to address a wide variety of services subsectors including: ICT, creative and cultural industries, health and wellness tourism, and business and professional services, to name just a few. The programme has been developed for international development agencies, trade support organizations, services sector associations and government agencies. ​Ensuring that marketing efforts are thoughtfully tailored to the export market will improve the chances of export success. 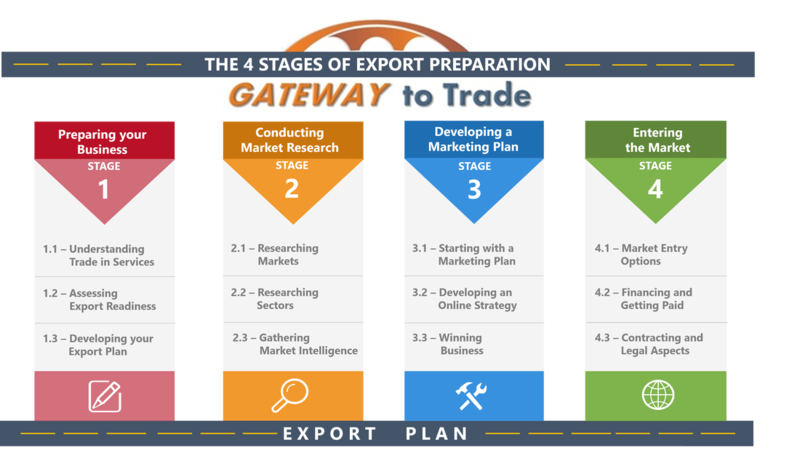 The GATEWAY to Trade Programme includes training and coaching to support export marketing best practices, such as the development of detailed export plans, powerful value propositions, and company pitches. 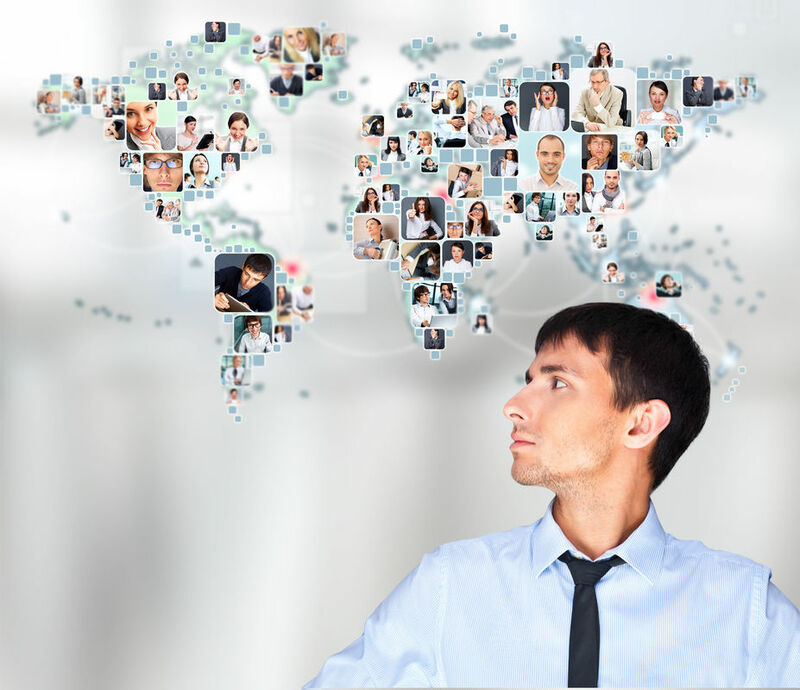 Additional elements may include website analyses, which utilizes an export-focused website assessment tool to ensure that messaging is world-class and well-targeted to potential clients in the chosen markets, as well as the development of company profiles to ensure consistent messaging between companies on market visits and to make certain that messaging is succinct and impactful. The GATEWAY to Trade programme supports in-bound and out-bound market visits to/from target markets for export ready companies and can facilitate virtual or face-to-face B2B matchmaking through a wide international network of trade support organizations, sub-sector experts and in-market specialists. The GATEWAY team has extensive experience in leading services sector trade missions and have conducted missions in many parts of the world. Programme sustainability is a crucial element to GATEWAY to Trade and includes an intensive train-the-trainers programme in order to build capacity in-house to effectively deliver the GATEWAY training programme, as well as extensive guides and documentation. A digital marketing campaign includes the development of a campaign-specific website, and a number of digital marketing tools including video, infographics, articles, success stories and links to the project's company profiles. ​The GATEWAY to Trade competency-based training programme has been designed specifically for service providers, to help them improve their export readiness. A 4-stage, logical approach takes participants through 12 modules of export preparation. The training is practical and hands-on, incorporating exercises and supporting participants in the development of their export plans. GATEWAY to Trade training is delivered by GATEWAY Certified Trainers. ​Export plan development coaching is also provided. The GATEWAY to Trade training programme can be tailored to the address key services subsectors. Sector profiles can be developed to provide a foundation for company-specific market research efforts. These profiles provide an overview of the sector, focusing on areas of opportunity for service exports vis-a-vis the priority markets. The sector profiles comprise a webpage, linking to key information and an infographic, which provides an overview of the sector. The GATEWAY to Trade team can undertake national services export strategies or sectoral strategies and action plans. The team additionally has significant experience in establishing professional associations and guiding the association in delivering export-focused member services.